When Dominic Holder ’16 learned that he needed to pass the swim test before being allowed to join the crew team, the non-swimmer did the only thing he could think to do: he started taking swim lessons. The incident reinforced what Dominic describes as an irrational fear of water — “drowning, specifically” — but he came back the following Friday and Jonathan was again there to help. And he kept coming back for Friday lessons and even some open swims on Sunday afternoons. “Rowing was something I wanted to do since I applied to St. Andrew’s. 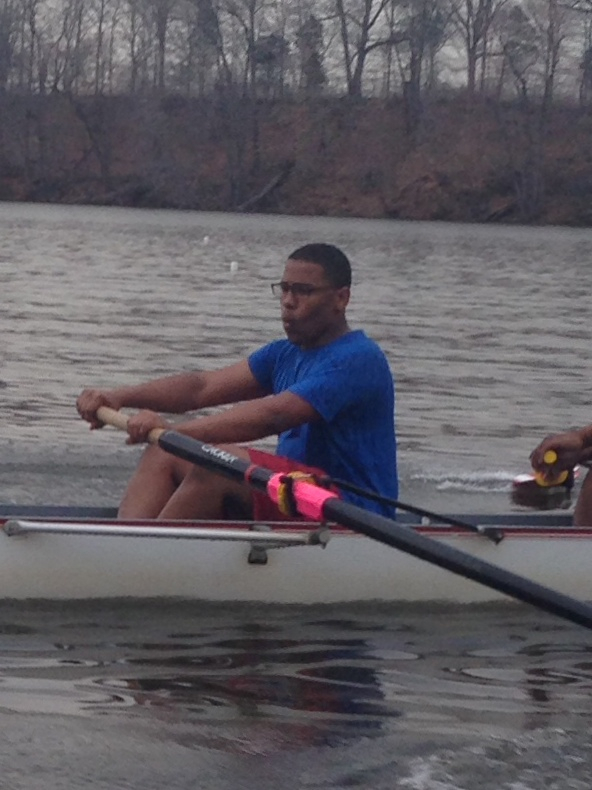 I wanted to be on the water with my classmates and I needed to get past my fear.” He felt ready to take the swim test by the opening of crew season in the spring. And then he failed “spectacularly” before unceremoniously joining the j.v. baseball team. He also recommitted to his goal. The swim lessons continued and he rarely missed opportunities for extra practice. Kirstin Anderson ’14 and Taylor Graves ’14 picked up where Jonathan left off after graduation and helped Dominic get stronger in the water. “I felt good, but I was also still a little nervous,” he says. A moment during a St. Andrew’s service trip to Nicaragua last month helped him summon the courage to face the test again. Last Thursday, varsity swim coach (and Dominic’s Chemistry teacher) Bill Wallace met Dominic in the pool to try the test again. “He immediately sensed how tense I was and told me to relax and remember to breath. He was very encouraging.” Dominic made it the length of the pool and back and readied himself for two minutes of treading water. “I’m treading water and Mr. Wallace asks me about Chemistry. So that’s what we did. We talked about our class. I forgot about the clock.” A full three minutes went by — enough to let Dominic know he could do it, and more — before Wallace turned the subject back to the test and congratulated him on passing.